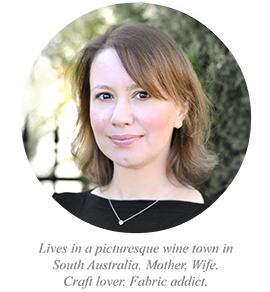 For this block I used my Marti Mitchell templates and followed her conversion chart. 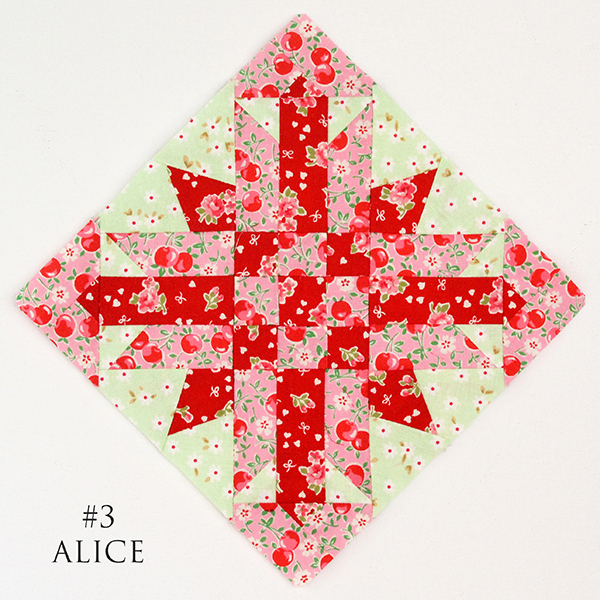 If you are rotary cutting or paper piecing 'Alice' please be aware there is a correction for this block - you can download the corrected pattern here. 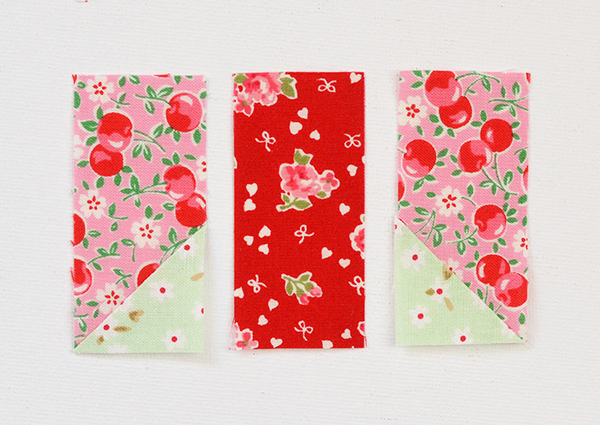 The fabrics I used are some of my favourite florals from my stash. The pink is an old Lecien Old New 30s print but you may be able to find it on Etsy or ebay. 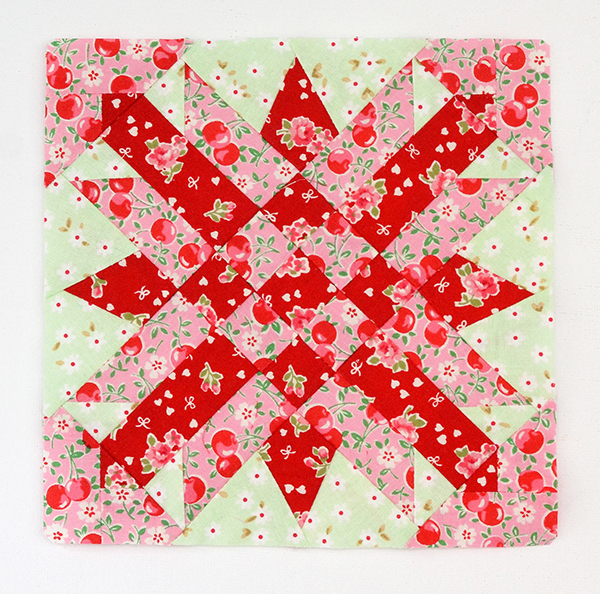 The green floral is another old favourite from Cottonholic on Etsy. 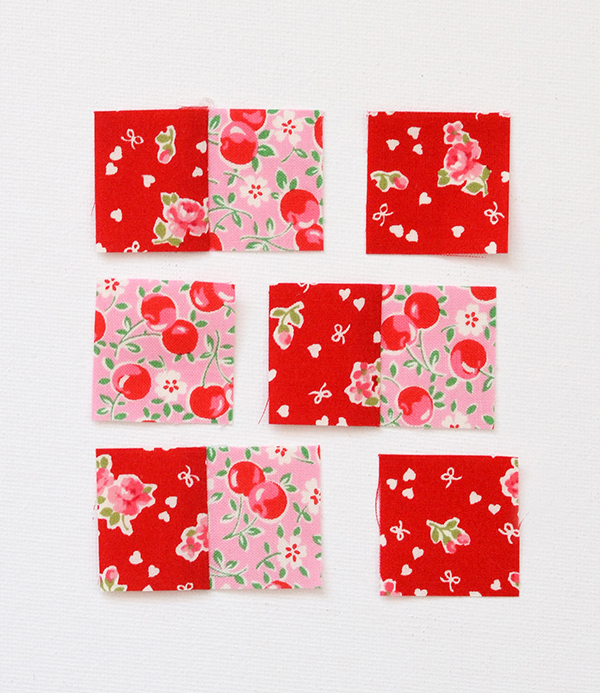 And the red floral is a Sevenberry print from Ministry of Fabric. Following the Marti Mitchell conversion chart you will see that there are three different size 'units' in this block, corresponding to the same size Marti Mitchell template: A-3 square units, A-6 small triangle units (corners), and A-4 large triangle units (sides). 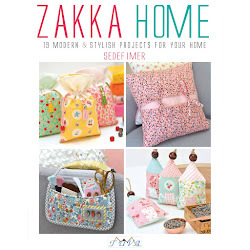 Cut your fabric following the instructions in the conversion chart. 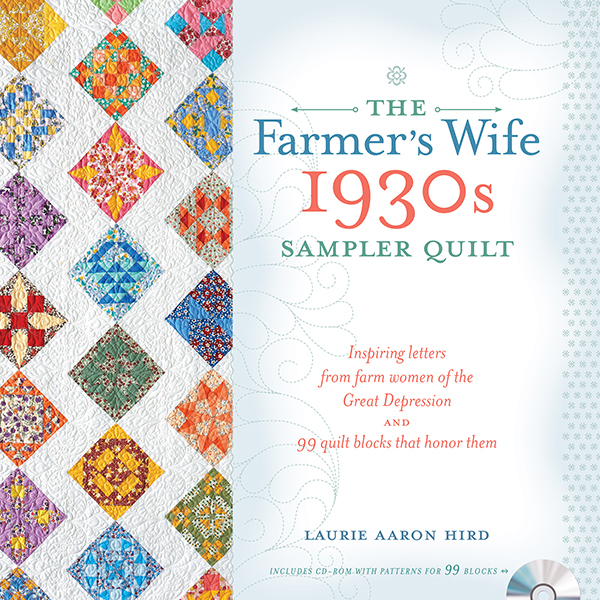 You will also need to print out the corrected pattern for this block and cut out the templates for 3I, 3J and 3K, then use those to cut your A-4 pieces. In explaining the steps I will refer to my pieces using the colours in my block i.e. pink, red, and green. Replace these with your own colours when you are following the steps below. Use a scant 1/4 inch seam allowance, RST means right sides together. Step 1. Draw a diagonal corner to corner on the reverse of the green squares. Place a green square RST on the bottom edge of a small pink rectangle (A-3 units). Sew on the traced line, trim excess fabric 1/4" away from the seam, flip the wing open and press. Make 4. 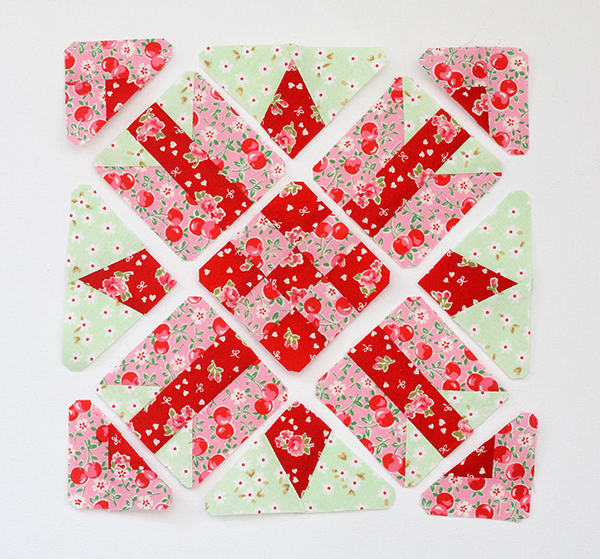 Repeat the process to make 4 more mirror image pieces (by flipping the positioning of your green square). 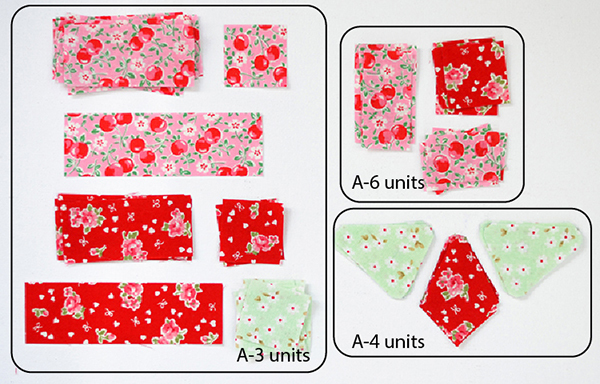 Sew together with a small red rectangle to make a square unit as shown. Check the finished unit measures exactly the same size as the A-3 template, trim if necessary (you will notice I also trimmed the corners as they help massively in the final assembly of the block). Make 4. Step 2. 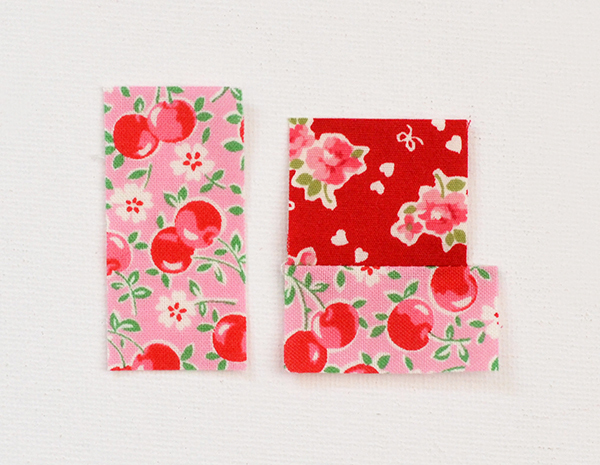 Join the long pink and red rectangles and cut into three 1 1/4" wide pieces (you will have a little excess fabric left over). Combine with the two red and one pink squares as shown to make the centre nine patch unit. Check it's the same size as the A-3 template, trim if necessary. Step 3. To make the A-6 size corner units, Place the pieces you cut as shown. You need four corner triangles, and you can either make them all identically (as I have), or if you want to be super precise make two as shown below, and make the other two mirror image by moving the positioning of the red square and long pink rectangle when you are piecing the units. 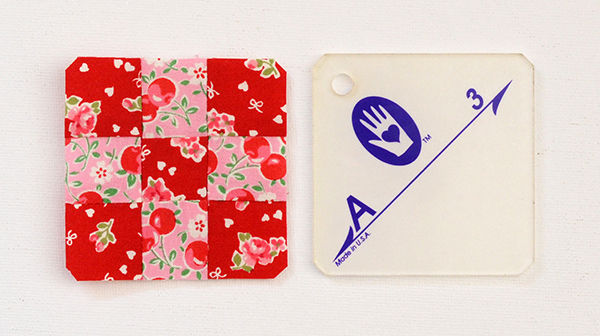 Sew the red square onto the small rectangle, then sew the long pink rectangle to one side. 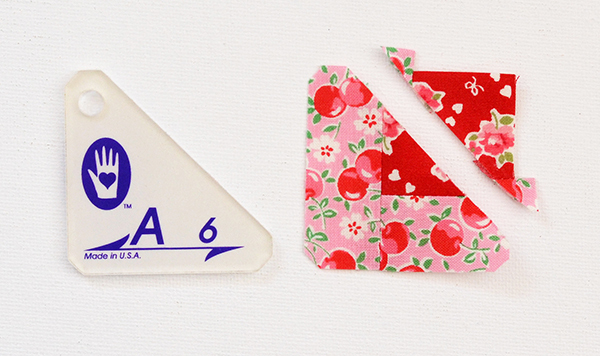 Trim to size using the A-6 template. Make 4. Step 4. 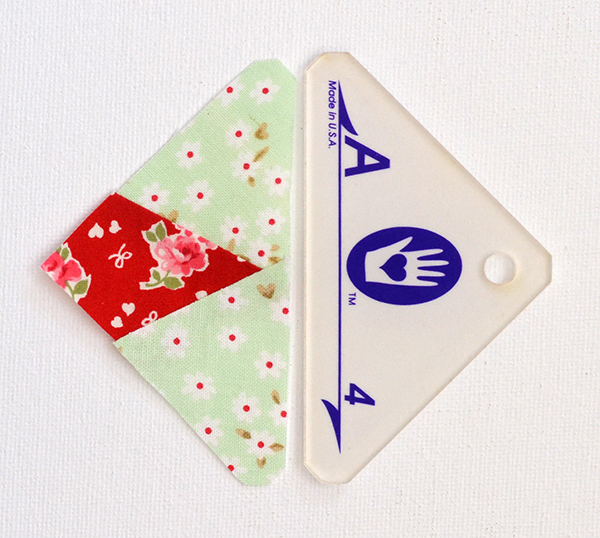 To make the A-4 side triangle units, sew two mirror image green pieces to either side of a red piece. 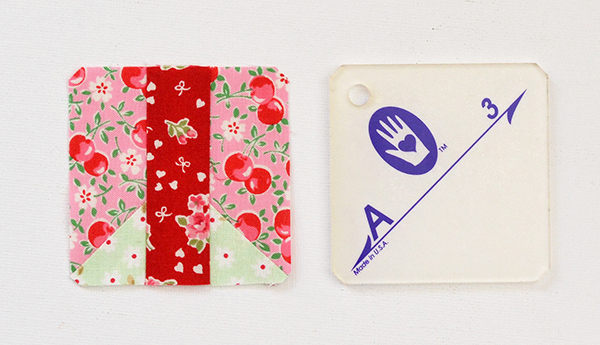 Check the finished piece is the same size as the A-4 template, trim if required. Make 4. Step 5. Lay out all your units. 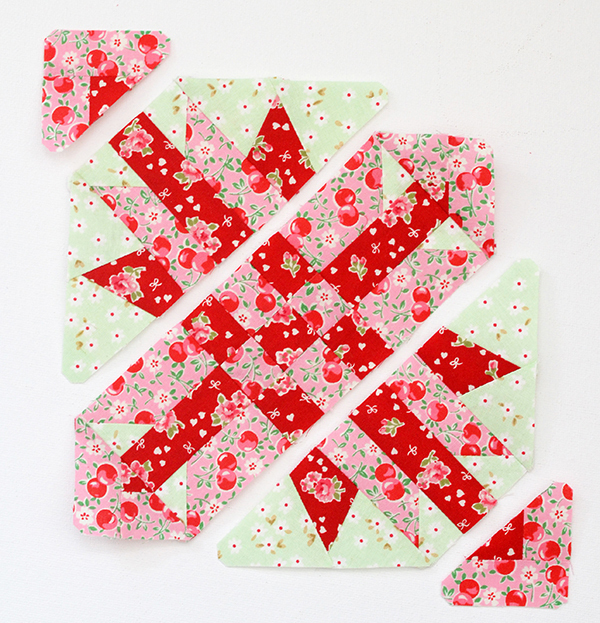 To assemble the block we will sew the units together first in diagonal rows, as shown, and then sew each row together.